their plight has been highlighted on World Refugee Day. Governments and United Nations agencies. reaching a generation that has received a poor degree of education. traditional locations, as well as non-formal education. three years is entitled to formal education. in the classroom and they told us bad words. permitted by the scope of the resources. leaflets that clearly explain the steps of enrolment. In 1970, Omar Amiralay made a short documentary praising the Baath party’s project to build an impressive system of dams, which were subsequently revealed to contain fatal construction flaws. Thirty years later, in A Flood in Baath Country, Amiralay turns that hidden weakness into a potent metaphor for the corroding effects of 35 years of Baathist rule on the people of al-Mashi, a village 400 kilometres northeast of Damascus. As the camera patiently observes students, teachers and local government officials as they recite by rote the exact same praise for the president and slogans glorifying the party, the film coalesces into a devastating indictment of the Baathist regime. The movie will be with English subtitles. 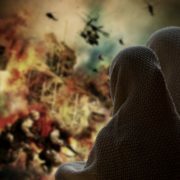 After the movie we will have a small discussion with some of our Syrian group members. Everyone is welcome! Want to bring friends? Invite them here! PKN-Cantorij from Driebergen and some musicians from Syria and Ukraine will perform together in a special winter concert. In the Netherlands we usually celebrate Christmas on 25 and 26 of December but in Eastern Churches they celebrate it 13 days later, that’s why we sing together on the 7th of January. You are welcom to come and listen and to sing along. No entrance fee, free collection at the end. Saturday from 3 till 5. On Friday 13 May, a mix of Syrians, Dutch’ and Internationals gathered to start a dialogue with a focus on the integration process of the Syrian community in the Netherlands. Historian Frerik Kampman started off by visualising Syria pre-war, when Syria was well-known as a peaceful country, very open to foreigners. Salim and Anwaar continued with a different perspective, telling their story of their work for international organisations in both Syria and Egypt. Twice they had to leave everything behind and start all over again. They involved the audience with their own experience: how is it to become a refugee, to integrate in a new culture without speaking the language? The second part of the evening consisted of an interactive Q&A session, followed by the group activity ‘what if…?’ Overall, it can be said that it was a truly engaging evening with multiple dimensions. One of the objectives of the journal was to create a better understanding of both the Dutch and Syrian community and how they interrelate. Why not filling the gap and strive to build a future together? Salim and Anwaar, a brave couple that build a relationship during an ongoing war, explained some of the difficulties they faced when building up their new life. Salim emphasised how painful it was to flee from Egypt to Italy. He was not sure if he would survive in the tiny boat. ‘If I die, please call my wife’ is wat he told multiple times during his trip. When he met a refugee-smuggler in Italy, he was shocked by the driver’s attitude. He did not to help him from a humanity perspective, he just wanted to make money, he saw refugees as a product, worth 500 euro. Salim’s wife, Anwaar, elaborated on this story from the moment she was reunited with her husband in the Netherlands: ‘They only look and stare at us’. She explained that she finds it very difficult to engage with the Dutch society. Whenever she tries to invite people over, they don’t show interest. Sometimes, she feels like an alien on a different planet. Before the interactive part of the evening took place, several statements were made by Syrians in the audience. The statements were honest and touching, some of them included: ‘Losing your family does not mean stop trying’; ‘If we work together we can achieve more and faster’; ‘We are not just refugees, we are also human’; ‘I cannot integrate alone’; ‘First I hated drop, now I like it’. During the Q&A session, the audience was invited to ask question to the Syrian group. The questions reflected a variety of curiosity and concerns. Questions that were raised included: ‘What can the Dutch society do for you?’; ‘What divides the Syrian community?’; and ‘What was your happiest day in the Netherlands?’. The Syrians highlighted that simple things can make life better. A lot of Syrians just want to feel welcome. Therefore, they need a smile, or a friend. For most of the Syrians, peace looks far away now, even though they stay positive. By the same token, Germany was a humanitarian catastrophe a few decades ago, now it is one of the most promising countries with a very tolerant refugee policy. The evening ended with an activity meant to put the audience in the shoes of refugees. Questions were posed to the audience such as: ‘If you left everything behind, what would you miss the most?’ and ‘What if your land was destroyed, your people displaced and suffering, and you would feel like the wold is ignoring you?’ These questions were very confronting and it was hard to even try to imagine this feeling. However, we would like to invite you, the reader, to think about certain questions as well. May be you can give them the smile they need.